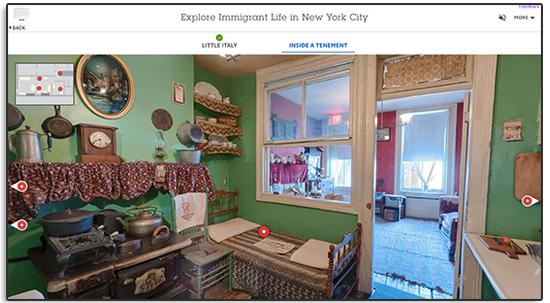 Project Imagine immersive experiences are digital activities built around primary sources. Students will interact with history in a whole new way through a variety of immersive activities, including role plays, 3-D virtual reality, decision trees, opinion polls, and interactive maps. See history through different lenses. In the role play activity, students take on a role from the past and experience people’s lives, routines and decisions -- and learn how historic events shape and change ordinary lives. 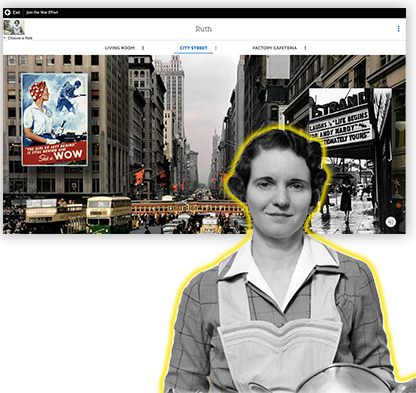 Along the way, students will examine and interact with primary sources within the context of the role. Use the interactive map activity to see change over time. Students will gain a better understanding of the geographic context of major events in world history, and analyze firsthand primary sources. Students will visit historic sites through 360º explorations. As students explore the site, new hotspots will appear that provide access to primary sources about the historic site. Students become active participants in history with the decision tree activity. 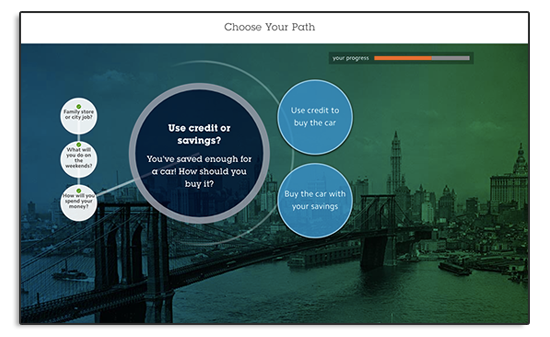 They will analyze the key choices people have made throughout history—and make their own decisions. Throughout history, people have made difficult decisions based on the evidence at hand. 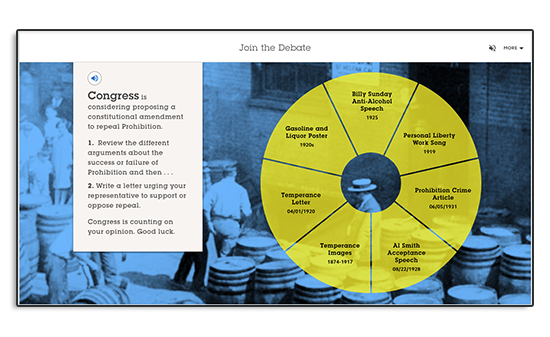 In the opinion poll immersive, students will analyze a collection of primary sources and data to form an opinion, then defend it based on sources.